Nominations will be brought forward for (2) years in addition to the original nomination year. Gary Goreniuk (left) receives the Dave Ganley award from Northeast Zone Chair Rob Larson. Gary began officiating at the age of 28 with no prior hockey experience, and is now in his 22nd season of officiating in the North East Zone. 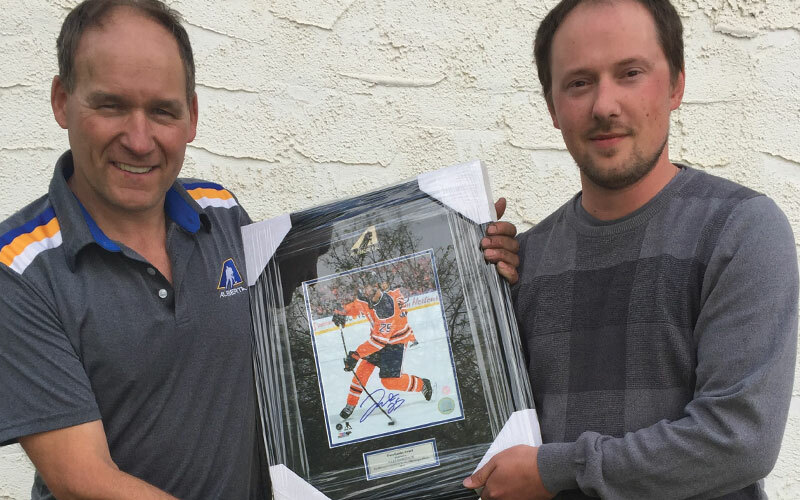 He quickly moved up to become a Level 4 Official, working Junior B and Senior hockey, as well as working lines in the Alberta Junior Hockey League. Gary has served as RIC for Bonnyville for a number of years, and still assigns all of the hockey in Bonnyville and for some regional teams. He also supervises and mentors upcoming officials, and has acted as the Tournament RIC for a number of Provincial tournaments. After serving time in multiple roles on the North East Zone Executive, Gary is now in his second year as the zone’s Vice Chairman.